All students must sign the AUP each year in order to use APS technology services. This information will be stored in the Synergy Student Information Database. Click here and complete the online questions to show you understand the expectations and responsibilities you are to follow. For returning and incoming students. Click here to accept the Acceptable Use Policy. All students must complete this. Students may connect any electronic device to the APS network. The password is their OneLogin password (StudentVue/Canvas/APSGoogle drive). Students may use iPads for learning when permitted by the teacher. Students must silence, turn off, and/or put away iPads when directed. Students have no expectation of privacy while using the network, or while in possession of a device on school property. Students may not disable or work around the content filter; or tamper with, copy, download, or attempt to install or execute files without authorization. A principal’s designee may take and search any device in student possession with reasonable suspicion a student has violated this policy. Devices that have been taken or confiscated may be held by an administrator. Students must cite sources used in the course of academic research and writing, and obtain permission for their use when appropriate. Students that mishandle, damage, or destroy APS property are subject to disciplinary action and referral to police and may be responsible for paying for the property. Failure to follow the expectations will result in suspension of computer access and privileges and other disciplinary measures including suspension from school and/or criminal prosecution. 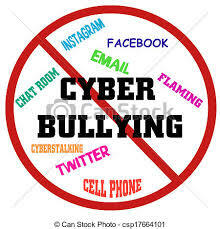 APS is not responsible for student use of electronic technology resources outside of school, however, students may be disciplined for any technology use that negatively affects APS or that negatively affects another student or staff member.